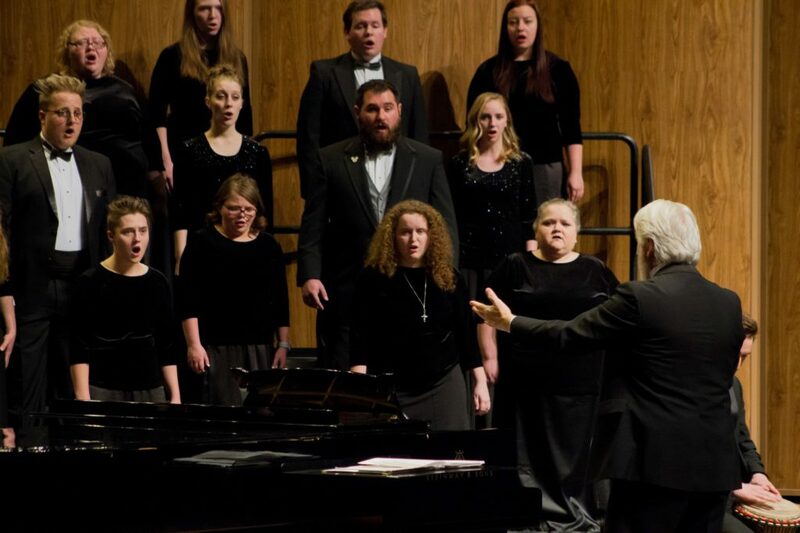 Weber States University’s Department of Performing Arts presented the annual Spring Choirfest at the Val A. Browning Center on March 20. 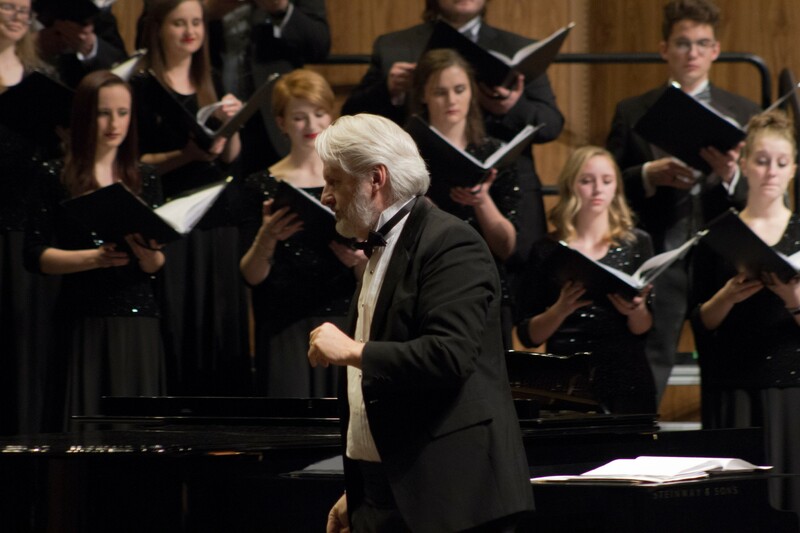 The Spring Choirfest gives students an opportunity to perform what they have been learning and working on throughout the semester and provided an evening filled with music for all concerts attendees. The concert was directed by Dr. Mark Henderson and showcased Weber State’s concert choir and chamber choir. 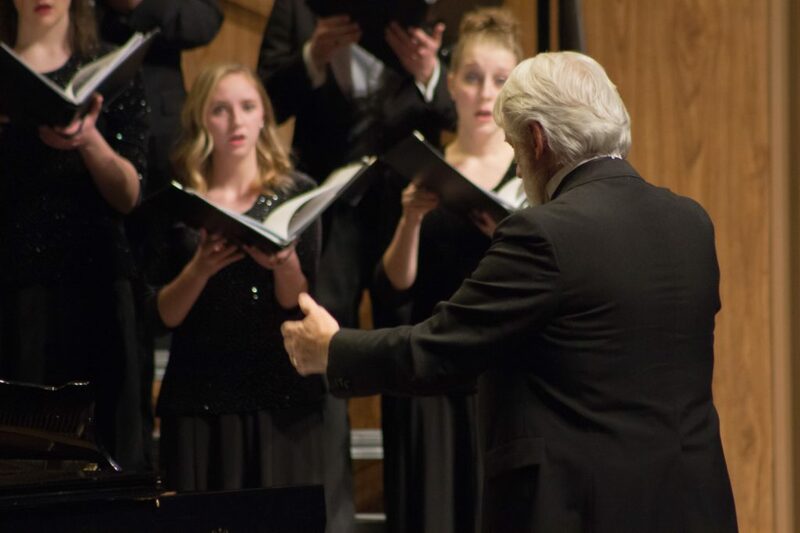 Weber State’s concert choir is comprised of 45 students who are enrolled in the choir class and does not require an audition to be in the choir. “Each concert is a learning experience, but I think we did really well,” said Rebecca Schull, president of the concert choir. Because the chamber choir requires students to audition in order to participate, the chamber choir has fewer members. 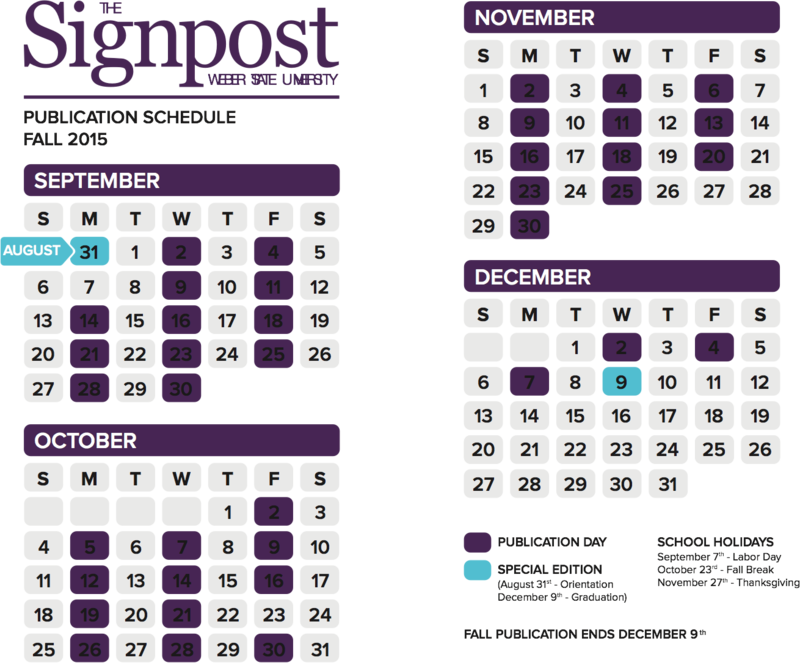 The 29 members of the chamber choir perform several times throughout the semester at multiple venues. Kimberly Lake, president of the chamber choir, said that the Spring Choirfest was one of her favorite concerts that they have performed at this year. She also said they are all very invested in what they are doing with the choir program and look forward to these performances. Both choirs performed multiple numbers highlighting many different genres of music. 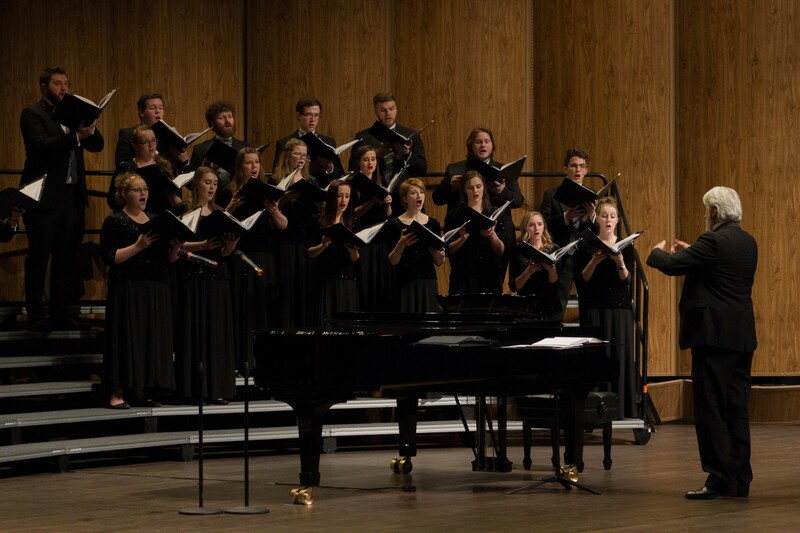 To incorporate another choir into this year’s Choirfest, Henderson invited Weber State’s opera company to performed several special numbers during the concert. These performances included songs from their Spring Opera Concert which will take place this weekend in the Austad Auditorium of the Browning Center. “This was a great opportunity for our students to showcase their different abilities and skills on one stage,” said Jenny Erikson, Co-Director of the opera company. Many of the students who participate in one or both of the choirs are also involved with the opera company. Lake said that no one class is confined to one specific genre, and she is grateful for the opportunity to perform different genres. “I learn a lot in choir, but I feel more freedom when I sing Opera” Lake said.